Online retailers are often the research hub and starting point for today’s consumers. However, uncovering the behavioral data of online and mobile shoppers on these influential sites has been challenging. Do you know how and why consumers react to the elements in this environment, such as product images, product options, ranking changes, page configurations etc.? Such was the challenge for a leading international producer of wine, beer and spirits who was in the process of syndicating product content for its online retail partners. 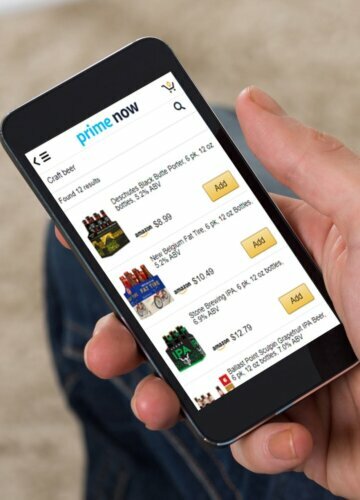 While most online alcohol purchases are made via mobile, 1/3 of these shoppers purchased less than expected, because they couldn’t find the right items. By leveraging a testing environment mimicking the Amazon mobile shopping experience, the company was able to optimize its online content, develop a standard and share valuable online behavioral insights with its online retail partners – in less than 60 days. Elizabeth Kadrich consults leading companies in consumer goods, telecommunications and technology industries on how to analyze and predict consumer decision behavior. She has a passion for research in the eCommerce space and data visualization. Elizabeth holds a Master’s of Marketing Research from the University of Georgia. Mike Mabey focuses on strategy and competition in four areas: decision journeys; product development in highly competitive markets with complex decision rules; identifying customer experience touchpoints, and message and positioning optimization. Mike also frequently speaks with clients at national conferences including TMRE, Direct to Consumer Advertising, and Pharmaceutical Market Research Group. Sign up now to watch the on-demand webinar!